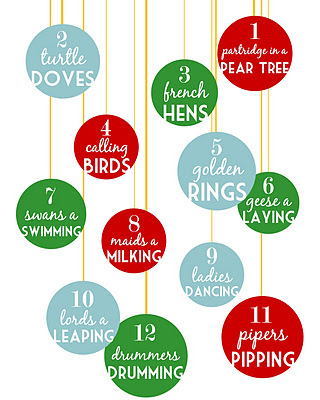 Every day for the next 12 days I will be running a special a day for 12 days! The special will run from the day its published till midnight Christmas eve or until sold out! www.fb.com/babychilli.au so you know what the special for the day is. I will announce each special at 9am each morning from today until Christmas day. Not only are Modern Cloth Nappies are a fun and exciting way to spice up your baby's behind, but they also reduce our footprint on the environment and SAVE YOU MONEY! They are as simple to put on as a disposable and are more breathable than a plastic disposable so can assist with nappy rash. Every year billions of disposable nappies are thrown out causing mass land fill, taking hundreds of years to decompose. MCN's are reusable, and while the initial outlay for them can seem large, over the life of just one child in nappies the savings become very obvious. And when you factor in that you can use them for subsequent children the savings are HUGE! For example: using disposables for a year for one child will cost you around $900 a year. Times that by the number of years one child is in nappies and they can cost well over $2000. To use MCN's full time you need around 18-24, around 6-8 per day with time for drying. Washing them is really simple too, all you need is a bucket with a good lid. Simply remove any solid waste into the toilet and put the soiled nappy in the bucket, no need for soaking. Then when you have enough for a load of washing, around every 2 days, simply put in the washing machine using 1/2 the detergent you would normally use, add an extra rinse then line or tumble dry. 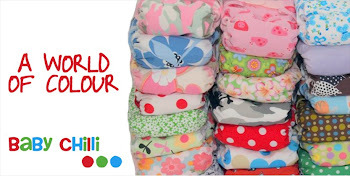 Baby Chilli nappies are a pocket nappy with a twist. There is a 3 layer insert of microfibre sewn in as well as a microfibre/bamboo booster attached inside the pocket opening. This enables the nappy to have the the fast drying qualities of a pocket but with the ease of an all in one. And if required you can add another booster if required. An extra 3 layer booster of MF or bamboo is also available. The nappy consists of a suede cloth or microfleece inner (for that stay dry feel) hidden layer of PUL, microfibre insert built in, bamboo booster attached and a decorative cotton outer. From that little Chilli inside grows great love.....A baby brings so much joy and happinesss to our lives that we cant imagine life without them. With this however comes sleepless nights, crying and of course nappy changes. Thats where Baby Chilli comes in, our gorgeous range of funky nappies will make any nappy change a fun and exciting time. It seems hard to believe right? well try them for yourself and discover how to spice up your baby's behind! Thank you for taking the time to look at Baby Chilli nappies, I truly appreciate it. I accept direct deposit or PayPal as payment methods. If you have any questions please feel free to give me a call or email. Images, product description, design and names are all copyright of Baby Chilli. Ethereal theme. Powered by Blogger.